Interested in joining the Nature Choir or Nature Drummers? Our new duo CD Fishe or Fowle now available to buy! Welcome to the website of Kate Fletcher and Corwen Broch. 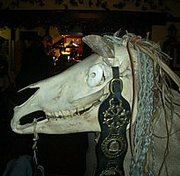 We are musicians, instrument makers and workshop leaders who perform folk music and drama, recreate Ancient music and instruments, make crafts, run workshops for schools and demonstrate at museums and other events. Here you will find details of the services we can provide, or you can buy the instruments and craftworks we make direct from this website. If you have something in mind that you don't see here, feel free to contact us to discuss your requirements. Please look through the links above to see what we are about! Fishe or Fowle is Kate and Corwen's new duo CD. It is a double CD with 25 tracks. Available now, as a physical CD from this website or to download from Bandcamp. For more information and sound samples click on the image on the left. 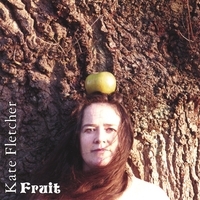 Fruit is Kate Fletcher's first solo CD . Buy or Download it from CDBABY, from AMAZON, APPLE iTUNES or buy a copy from us. To buy a copy direct from us, click on the button below, this takes you to a Paypal page. The CD is £10 and P&P is £2. or click here to friend him on Facebook! Join our mailing list or 'Like' us on Facebook for occasional updates about gigs, workshops and special offers on musical instruments and crafts.Subscribe to our Youtube channel to see videos of performances and demonstrations of instruments.